CSI: Was it the rivets? Though Titanic was lost 97 years ago and more than 12,000 feet below the ocean’s surface, the story is still emerging from the depths of the Atlantic. The legacy of that fatal night carries on with new scientific discoveries and ethical questions about shipwreck archaeology. Plus, no matter how hard we try to prevent it, ships continue to sink. We learn new lessons from each sea tragedy. 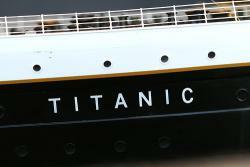 Click around this special Titanic feature page to learn more about what’s happening today about an old event. And share your thoughts with other Buzz readers. Why didn't people on the Titanic panic? Did a 'cold mirage' help sink Titanic? Shipwreck ettiquette – Titanic vs. Lusitania: Which ship had the more polite men?